We're partnering with Telula this January to develop healthy recipes featuring their cold-pressed juice & chia blends. Full of fiber, flavor, and no refined sugar, this Blackberry Chia Overnight Oat Parfait is the perfect way to start your morning. 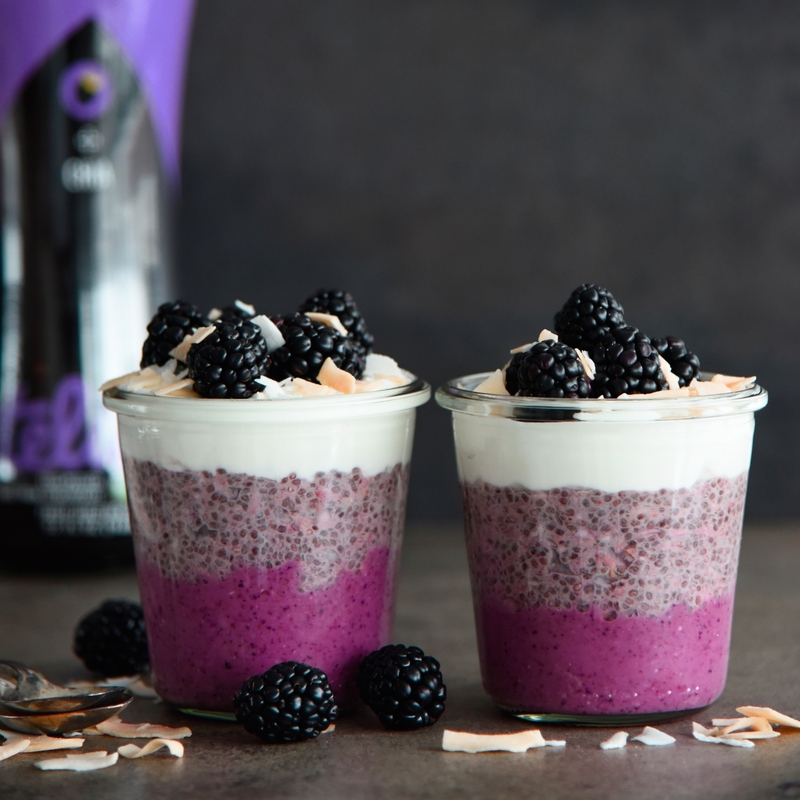 A layer of blackberry chia smoothie is topped with hearty overnight chia oats mixed with Telula Blackberry Chia Juice, and topped with greek yogurt, coconut flakes, and fresh berries. Feel free to substitute the greek yogurt for the dairy free yogurt of your choice for a non-dairy version. Combine the ingredients for the overnight chia oat layer in a jar, then stir well to combine. Set in the fridge overnight. When ready to serve, add the ingredients for the smoothie layer to a high-powered blender, and process until smooth. Add the smoothie layer to the base of the jars, then top with the chia oat layer. Use a spoon or a small offset spatula to smooth the chia oat layer, then top with yogurt of choice, fresh blackberries and toasted coconut. Enjoy!